The nose is the central and key component of the face and is the first thing a person notices when they look at someone. A Rhinoplasty (Nose job) enhances facial harmony and the proportions of your nose. It can also correct impaired breathing caused by structural defects in the nose. Rhinoplasty surgery can change the size nose making it more proportional to the face. 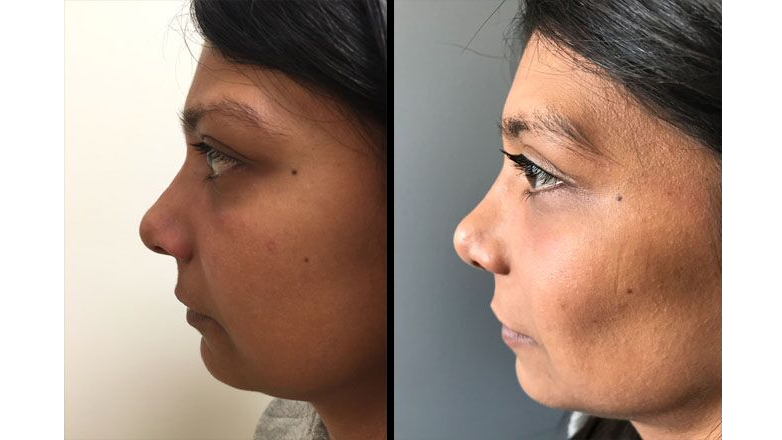 The nose width, position of the nostrils, and any visible humps or depressions on the bridge of the nose can be changed with rhinoplasty surgery. If the nasal tip is enlarged or bulbous, drooping, or upturned or if the nostrils are too large or wide, rhinoplasty surgery can correct this. If you desire a more symmetrical nose, keep in mind that everyone’s face is asymmetric to some degree. Results may not be completely symmetric, although the goal is to create facial balance and correct proportion. Unlike other cosmetic procedures, rhinoplasty surgery can also significantly improve function. Patients may have a deviated nasal septum, which may affect breathing and symmetry of the nose. 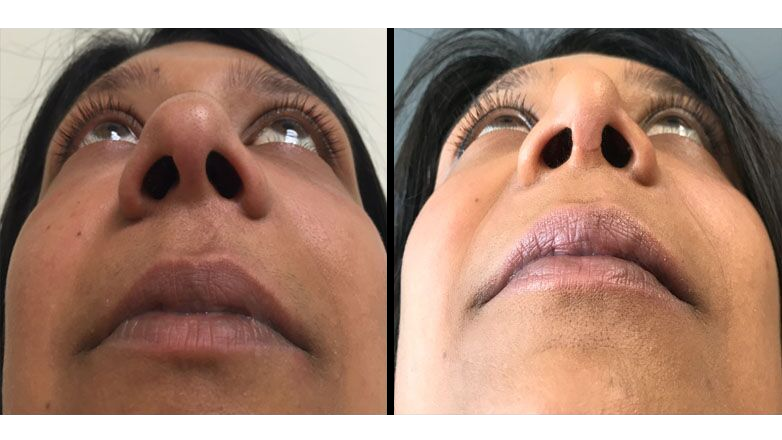 Correction of a deviated septum, one of the most common causes of breathing impairment, is achieved by adjusting the nasal structure to produce better alignment. Nose surgery that’s done to improve an obstructed airway requires careful evaluation of the nasal structure as it relates to airflow and breathing. Dr. Teshima is a trained craniofacial surgeon and specializes in both primary and secondary rhinoplasty surgery. Rhinoplasty surgery is technically the most difficult of all cosmetic procedures and Dr. Teshima dedicates a significant amount of time and aims for perfection to increase patient satisfaction. No two patients are the same. 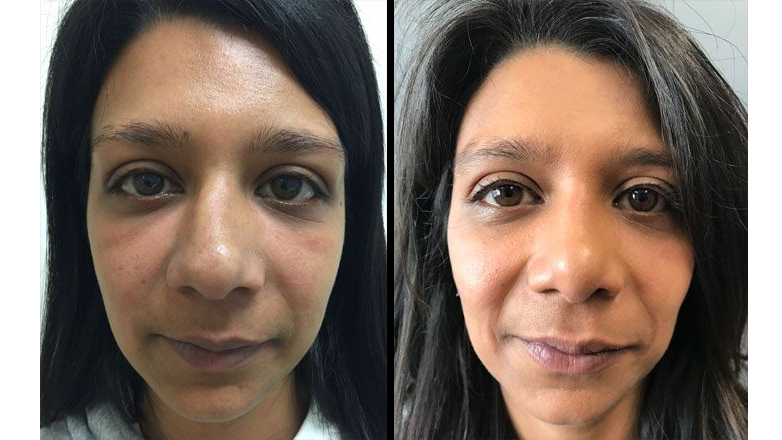 The cost of a rhinoplasty tends to vary depending on each patient’s individual needs and whether it is a primary rhinoplasty (first surgery) or revision surgery. The average range is between $7,000 and $12,000. Meeting with Dr. Teshima, you will be able to determine a custom treatment plan that will achieve a result that meets your particular goals. 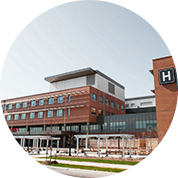 During your free consultation you’ll be able to ask any questions you may have and to undergo an in-person evaluation to ensure you are satisfied. 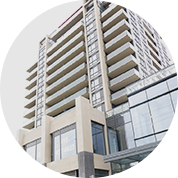 Book your free consultation by e-mail or by filling out the form to the right.